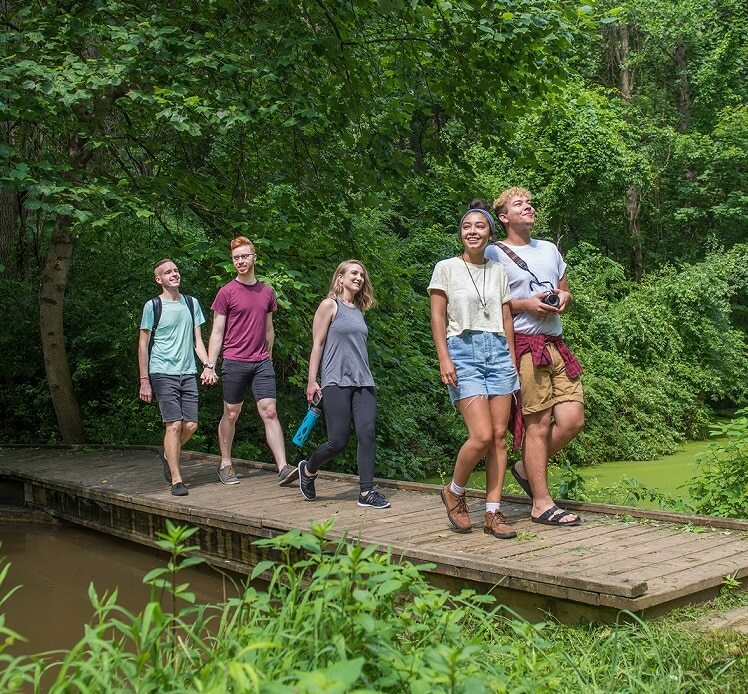 As the heat of summer really grabs hold of the countryside, it’s the perfect time to take advantage of York County, Pennsylvania’s stunning vistas, rolling hills and breeze-filled valleys with a picnic (and more fun) in one — or all — of York County’s beautiful parks. York County is known for its 4,500 acres of public park land, with 11 different parks offering outdoor recreation for the whole family. So, grab a blanket and get ready for an outdoor adventure! Assemble a basket of farm-fresh noshables, artisan breads, pungent cheeses, a cooler of herbal teas, or a fresh fruit smoothie or two (no alcohol is permitted within the parks), and hop into the car for a relaxing day of sunny skies, summer sounds and soulful scenarios. 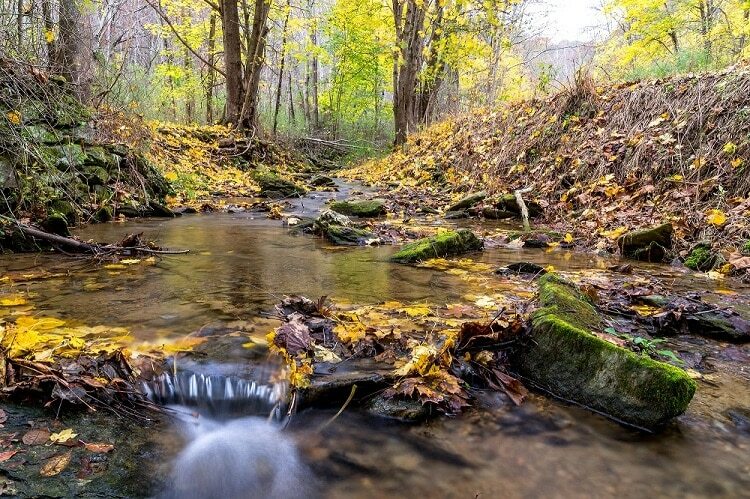 Donated in 1969 by P. H. Glatfelter and named in honor of the 1969 Apollo Moon landing, Apollo Parkis a beautiful example of Susquehanna River hills habitat, with several clear streams (Wilson Run and Boyd Run) cutting through York valleys on their journey to the Susquehanna River. The 196-mile Mason-Dixon Trail runs through the park. A multi-use trail is open for mountain biking, hiking, and horseback riding. Fishing is permitted in the Susquehanna River, as well as in Wilson Run. 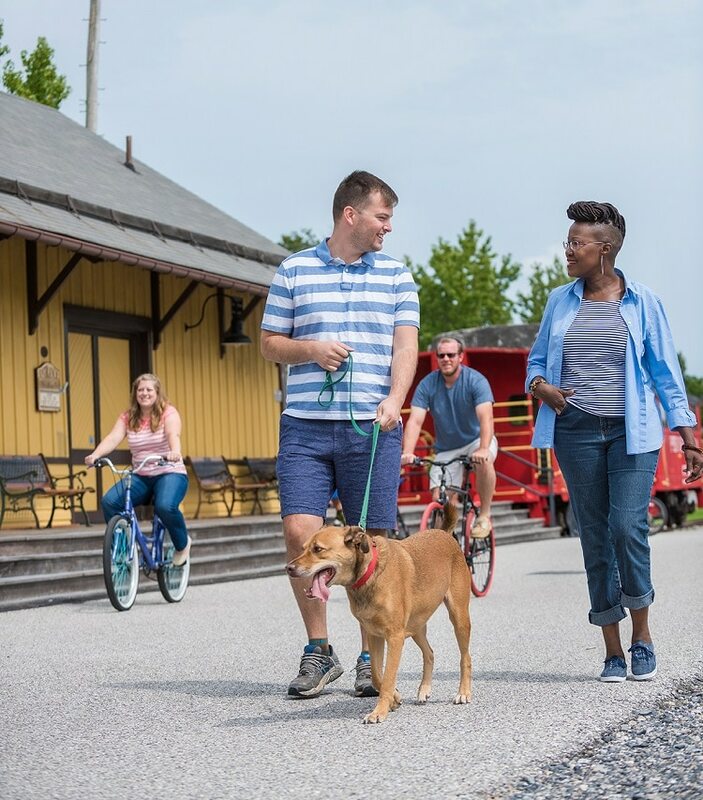 Established in 1992 and covering 176 acres, Heritage Rail Trail County Park is 21 miles long and runs north from the Mason Dixon line just south of the Borough of New Freedom through Glen Rock, Hanover Junction, and Seven Valleys in the Howard Tunnel to the Colonial Courthouse in the city of York. Several historic structures are located on the trail, and there is an operational railway running through the park, as well. 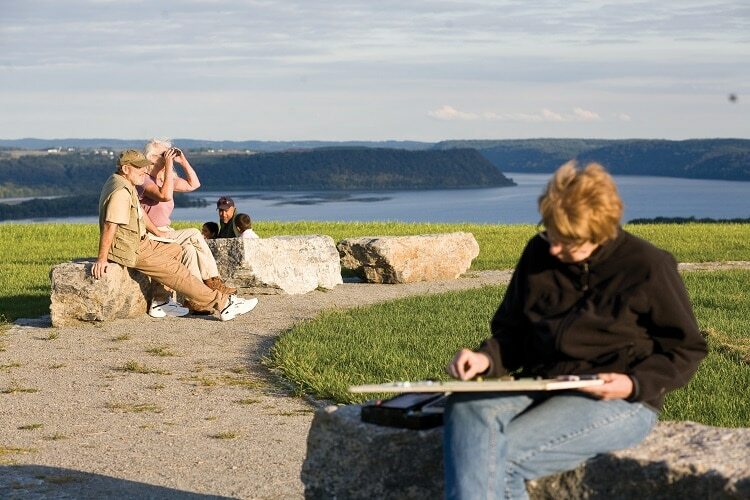 The Mason-Dixon Trail runs through Highpoint Scenic Vista park, as well, with 79 acres of scenic meadowlands located on top of a hill overlooking the Susquehanna River. Created in 2007, the park provides spectacular views and has carved-stone benches for resting. 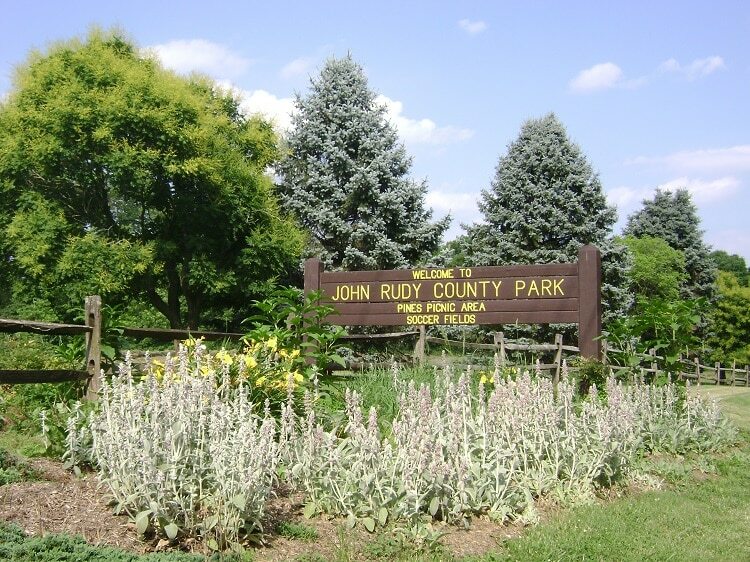 John C. Rudy County Park includes the York County Department of Parks & Recreation’s administrative offices, which are located in a 1798 stone house and other buildings on site. The park’s 150 acres were donated in 1973 by George B. Rudy and Viola Rudy Williams in memory of their grandparents. Native Lands Park includes more than 160 acres accessed by a six-foot wide mowed trail traversing the property from north to south. Trail Waystop Guide: a self-guided tour to learn more about the history of the park as you hike along the trail. For the nature- and/or bat-lover, the 150-year-old former iron mines at Joseph Raab Park are now gated bat sanctuaries. For safety reasons, you can’t explore the caves themselves, but there are hiking trails, old shade trees and a small creek to enjoy (no facilities). The mines are home to four species of bats. A bat gate inside the caves was constructed in cooperation with the PA Game Commission and Wildlife Conservation Fund to protect the hibernating inhabitants of the park. 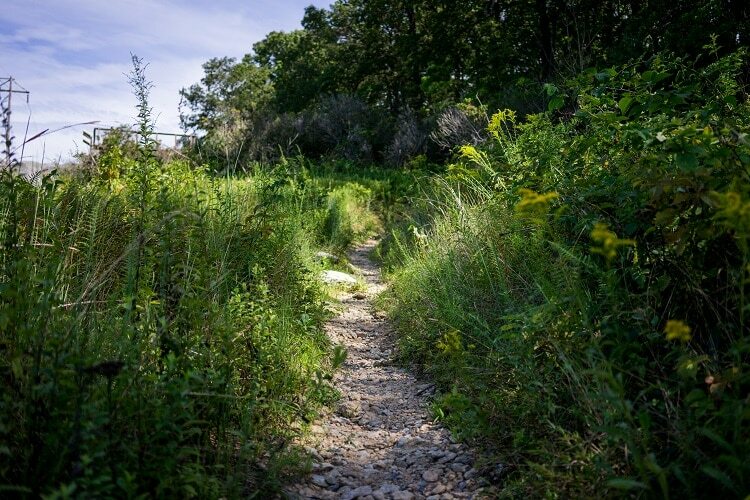 Richard M. Nixon County Park is nestled on 187 acres of meadow, woodland and aquatic habitats. Donated in 1968, through a gift of land from the Bob Hoffman family, the park was named after former U.S. President Richard M. Nixon. Ninety percent of Rocky Ridge County Park is a mature oak forest. Known as the first county park, acquired in 1968, it sits atop a rock-strewn hill where some of the area’s first inhabitants had settled. 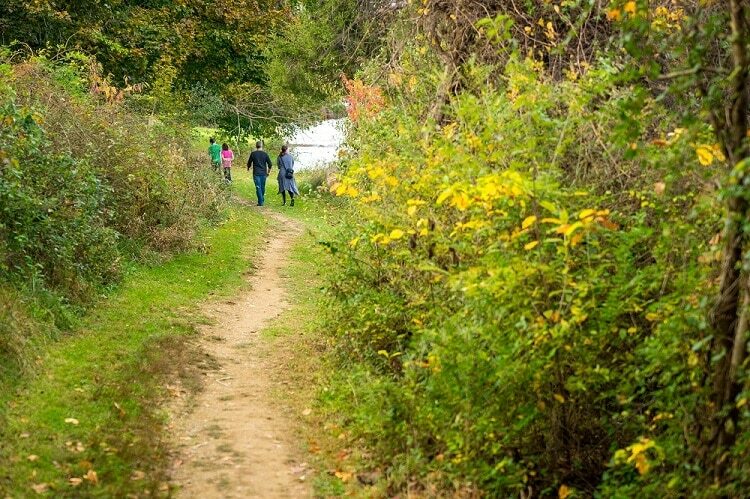 Established in 1972, Spring Valley County Park includes over 800 acres of fields and forests to explore. 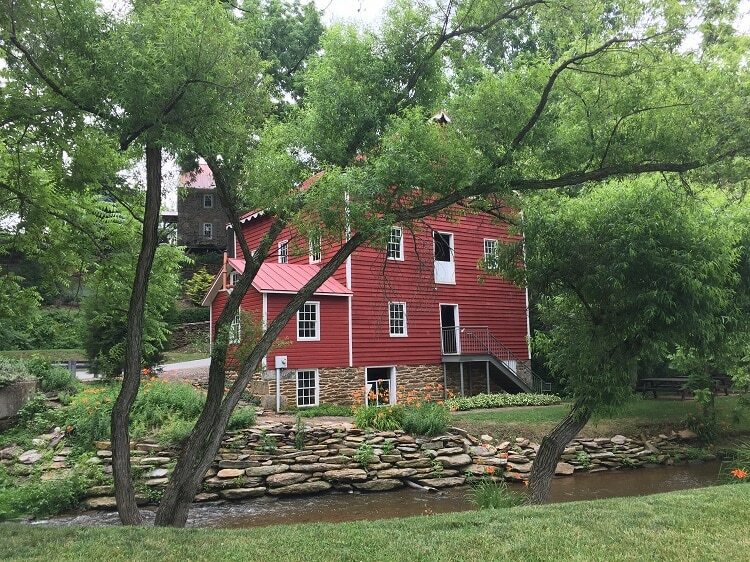 A beautiful historic grist mill (no longer in operation), Wallace-Cross Mill was built in 1826 and is now listed on the National Register of Historic Places. Tours available. Public open house schedule or call for appointment. Some great summer events to check out here. Established in 1977, William H. Kain County Park consists of 1,500+ acres and is home to two lakes: Lake Williams (220 acres) and Lake Redman (290 acres). Be aware of online pavilion rental guidelines and general park rules. Check with individual parks for available parking, lavatory facilities and pet requirements (leashes). Coming in October: Celebrate the York County Park System’s 50th Anniversary! On Thursday, October 18, join emcee FOX 43 news anchor, Evan Forrester from 5 p.m. until 9 p.m. at the Wyndham Garden York for an evening of celebration. Enjoy cocktails, hors d’oeuvres, a catered meal, silent auction and more, all to support the York County Parks’ fundraising initiative for a new outdoor classroom at Nixon County Park and other York County Department of Parks & Recreation projects. Richard Louv, journalist and author of nine books, including the national bestseller, Last Child in the Woods, will be speaking at the event. His compelling message about the critical importance of nature in our lives is sure to leave an impact! Call 717-840-7440 for more information, or visit www.supportourparks.org to make a donation or purchase a ticket ($50) for an evening of celebration in honor of the York County Department of Parks & Recreation’s 50th Anniversary! Stay informed of all the latest happenings year-round, and follow York County, Pa. on Facebook and Twitter, or download the helpful and convenient Travel Guide here. Also, be sure to sign up for the Explore York Getaway Guide e-newsletter and check out the current calendar of events to stay connected.